If you’re a parent, a child or a man-child who likes to occasionally look through the toy section of the Argos catalogue then you might be familiar with Mega Bloxs – a cheaper, less angular, version of Lego bricks. 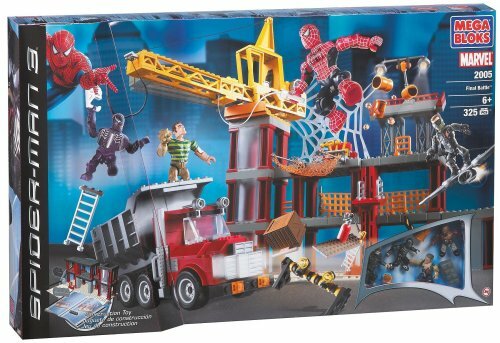 If this is the case, then you might also be aware that Mega Bloxs released some Spider-man playsets a few years ago. If these didn’t exist though, then right now we could be playing one of the coolest games ever – Lego Marvel. According to a recent post on Twitter by Traveller’s Tales’ Jon Burton, a Lego Marvel game was close to being produced but all plans had to be scrubbed out after Mega Bloxs gained the Spider-man rights. We wont hold a grudge against Mega Blox – they also produce Halo playsets, which are pretty cool.